While we normally concentrate on creating itineraries and finding accommodations for our clients, there are often practical questions that arise during the planning stages which can be crucial to a successful trip. We thought it would be helpful to provide some essential information and answers to the most common queries we receive. If you are entering Italy from outside the EU you will need a passport, but make sure it is valid for at least 6 months from your date of departure from the Schengen area. This is a new requirement, implemented in 2016, overriding the previous 3 months’ validity rule. They will turn you away at the airport of origin if this requisite is not met. Your passport must have at least 2 blank pages for the entry and exit stamps. 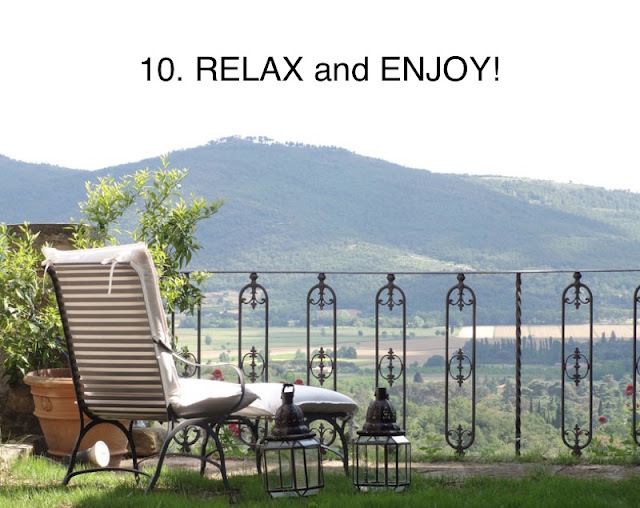 You do not need a visa if staying in Italy for less than 90 days. 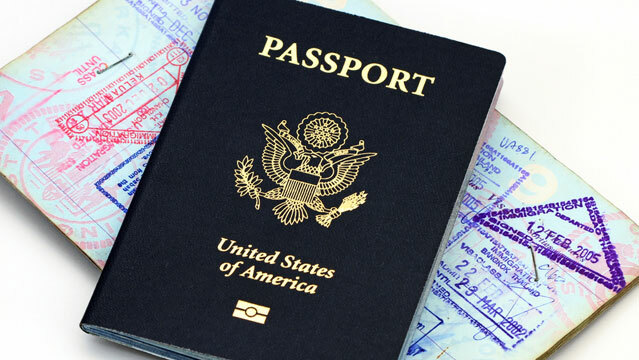 Bring a photocopy of your passport to carry with you while sightseeing, so you can leave the original in a safe at the hotel. If you are planning on renting a car, you will need an International Driver's Permit - it is the law in Italy. US citizens can get theirs at the AAA before leaving home. You cannot enter or exit Italy with more than Euro 10,000 (or its equivalent) in cash. All Italian cities and most towns have ATM machines with international circuits that allow foreigners to withdraw cash. However, you should check with your bank before you travel about using your ATM debit card or credit card abroad. Find out which method is the most convenient for your transactions, as there are normally fees and daily limits regarding the amount of cash you can withdraw. For US citizens, before you depart be sure to inform your credit card company that you will be traveling abroad. Due to fraud prevention, US credit card companies often deny purchase authorization when the holder tries to use a credit card abroad if they have not advised the company beforehand that they will be outside the US. This inconvenience is becoming more commonplace, creating unnecessary stress and aggravation for unaware travelers. While Italy still uses more cash than the US and other European countries, it is possible to pay with a major credit card in most restaurants, shops, gas stations, etc. The preferred credit cards are Visa and Mastercard (it is harder to find merchants who accept American Express). In smaller towns and for inexpensive purchases there might still be some difficulty paying by credit card. 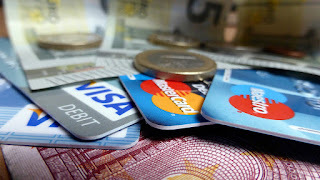 When you pay with a credit card, specify you’d prefer to pay in Euros, since the dynamic conversion to US dollars at the time of purchase has an additional cost. It is advisable to leave home with some Euros in cash (just in case) and always have some on you while traveling. You can get Euros while in Italy from ATMs, banks and also currency exchange kiosks located in the (tourist) cities - but check carefully to see what fees apply and their exchange rates. The voltage in Europe is 220V. Electronic devices (laptop computers, ipads, etc.) 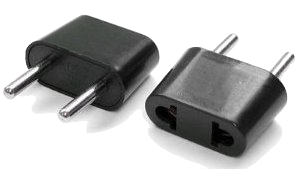 and cellular phone chargers can handle 110-220V, so you do not need a converter, you will only need to have a plug adapter with the round prongs used in Italian wall sockets. 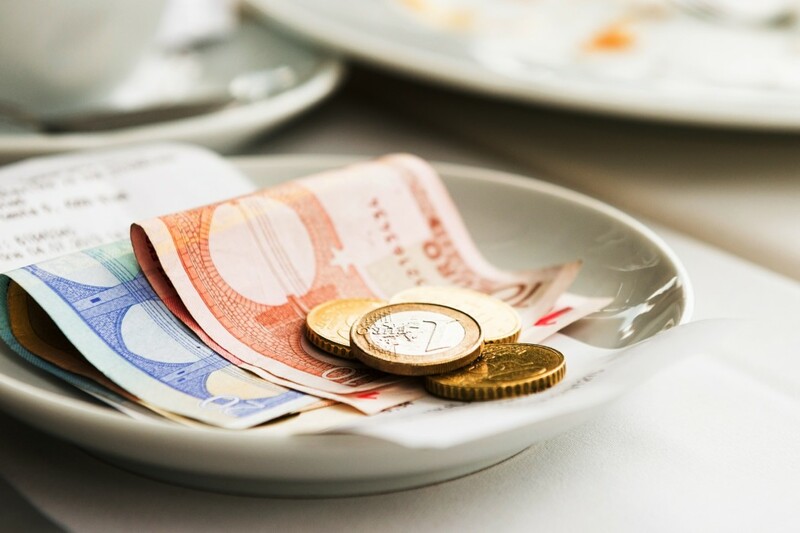 While it is correct to say that tipping is not necessary in Italy, this doesn’t mean that most Italians won’t be pleased to receive a gratuity. Tipping in Italy is still considered a gesture of gratitude and satisfaction, not an obligation. While the service providers do appreciate a tip, they don’t expect one. Something you are likely to discover during your stay is that in Italy it is actually customary for many proprietors to offer their customers a complimentary drink either before or after the meal (a Prosecco, Grappa or Limoncello, etc.) as a sign of their gratitude for your patronage. Also, don’t be surprised, or annoyed, that you will almost certainly have to ask for the check, since in most cases they won’t just bring it to you at the end of your meal. It’s not poor service, but rather a sign of respect, as it is considered rude to rush guests to leave. Since the subject of gratuities is not all that straightforward, and many of our American clients are often concerned about how they should address the matter, we have put together a whole post on the topic. If you’d like to find out more, feel free to read some general guidelines here. Everyone knows that Italy is considered one of the most stylish countries in the world. While this doesn’t mean you have to be stylish too, there are a few places where not knowing how to dress might be a problem. One of them (which most tourists will visit) is a church. To avoid being denied entry, it is best to observe the following rules: no shorts, bare shoulders, mini-skirts or any attire that leaves too little to the imagination. If it is summer, and you have a sleeveless top, carry a scarf in your bag that can become a quick shawl to cover up for the visit. In general, Italians dress casual. However, this doesn’t mean sloppy. So when it comes to dining out, unless you are going to a very high-end restaurant, you don’t need to wear formal attire, but do remember that casual dress can be (and in Italy it usually is) elegant. If you are one of those people who eats dinner before 7:00pm, make sure you plan on an afternoon snack to tide you over while in Italy! Most restaurants don’t begin dinner service before 7:30pm (and in the south of Italy this is probably still too early). The places that do offer early dinner are almost all tourist traps, since they will be the only people looking to eat before 8:00pm. 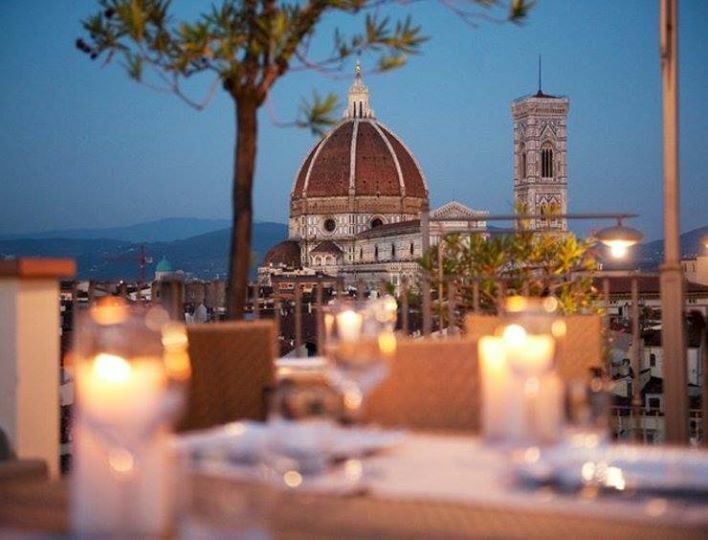 So rather than being forced to eat a sub-par meal, choose to enjoy an authentic treat in the late afternoon (even a generous gelato can fit the bill) and hold out so you can eat well, with the Italians. Also, in most cases restaurants have set hours for lunch - the norm is 12:30-2:30pm - so don’t expect to find too many places that have continuous kitchen hours. In the larger cities, this has become less of an issue since there are so many other options for dining. However, in small towns (especially those not full of tourists) they will still follow this schedule, and close between 3:30 and 7:30pm. If you are looking to get a taxi in the city, don’t plan on hailing it down! They won’t stop for you, since in Italy they are radio taxis, which means they are dispatched from a call center, except for those at the taxi stand of a train station or airport. If you are not comfortable making the call yourself, you can ask the hotel, restaurant, or shop to help you out. The service is normally quite punctual, with cabs arriving within minutes of the call. Using your phone while in Italy can be easy, but you need to decide how to go about it. Most accommodations will provide free Wi-Fi, which means you can access internet and free calling services (like FaceTime, WhatsApp and Viber). However, if you don’t set up a plan for international service with your own phone company at home you need to be careful about data roaming and calls, as they will certainly cost you a fortune. If you own your mobile phone you can also opt to unlock it and purchase a SIM card in Italy which will allow you to make local calls and use 4G at a convenient price. Most of Italy is quite safe, even the big cities. However, if you are not a city dweller, you should keep in mind that being aware of your surroundings and not trusting just anyone is a good rule of thumb. Like in all cities throughout the world, tourists are often the target of petty crime. They are easy prey, since most are distracted by the sights or trying to navigate unknown streets. So, keep an eye on your belongings at all times (leave valuables in the hotel safe when possible and avoid keeping all your cash, credit cards and documents together). Be vigilant and don’t talk to gypsies or anyone trying to sell you things or solicit something. A good way to avoid getting hassled is to show confidence by acting sure of yourself, that way you’ll look less like an inexperienced tourist and more like a seasoned traveler. 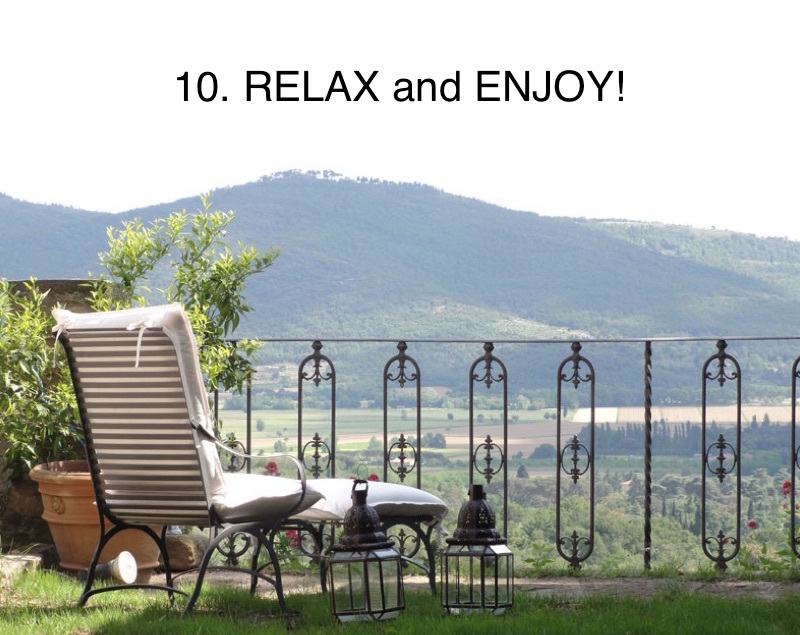 Don’t over-schedule - remember, you are in Italy, the land of the Dolce Vita, where taking it slow is an art. Leave yourself time to wander and get lost intentionally, without having every minute of your day mapped out. Improvise and allow a few unexpected experiences to surprise you. Don’t try to see it all - this follows along the same lines as the advice above. Italy is SO full of amazing things to see and do that you cannot expect to tackle the whole country in one visit. Even trying to see one of the major cities in only a few days does not do it justice. It’s much better to focus on a smaller area and spend more quality time there than it is to go to 3 cities and 6 towns across 4 regions in only 10 days. You will end up overwhelmed and feeling like you were only given a nibble of each dish served at the world’s best restaurant - not even remembering exactly what you ate, but knowing you wanted more. Immerse yourself in the local culture - take advantage of opportunities to meet and interact with Italians, they are generally very warm and welcoming people. Don’t look for the familiar comforts of home, try new things and embrace the differences you will find in a foreign land, even those that might annoy you, so you can experience something unique and authentic. There will surely be things you’ll love about Italy, but you will most probably find a few shortcomings as well. Don’t let the little things get on your nerves and try to accept them together with the good. Going with the flow will make everything more pleasant. Remember that Italy is a modern country - so don’t panic if you forgot to bring something, chances are you’ll be able to find it in Italy too. It’s probably even a good thing to pack light, since you’ll surely be tempted to shop during your stay!